So I'm on Spring Break and I've already finished TWO craft projects! How's that for productivity? 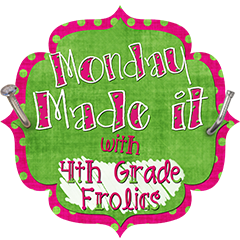 I'm linking up with Tara from Fourth Grade Frolics to share what I made! 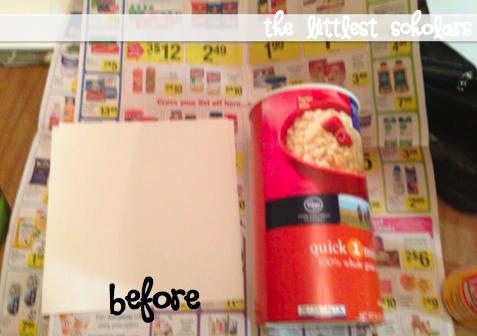 I saw a cute headband holder made from an oatmeal container a while back on Pinterest. I was going to make one for my headbands (I may or may not have a slight headband obsession) but my sweet little pup Jackson decided they made better chew toys. So I had 3 empty oatmeal containers but no headbands....what to do? Well, I made this little goodie to store headphones in my classroom. My headphones are always in a tangled mess so I'm hoping this will help keep them more organized. 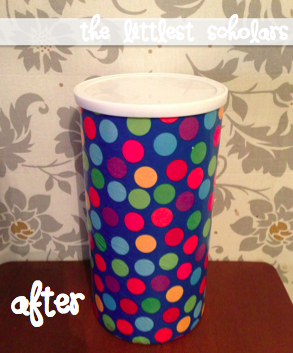 I had this fun polka dot tissue paper lying around the house so I modge podged white paper first then the tissue paper. Voila! So I made this nifty organizer! 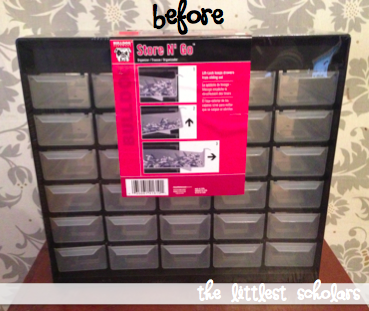 I bought the organizer at Wal-Mart for $11.99. 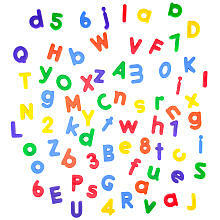 I already had the bright colored scrapbook paper and I bought the alphabet stickers for a couple bucks at Wal-Mart too. I just cut the scrapbook paper and stuck letter stickers on them. Ta-da! I'll keep this organizer right on my guided reading table for easy access. I also plan on making another for my little scholars to use when they are working with magnet letters independently. What projects are on your Spring Break to-do list? If you're crafting...be sure to link up! Cute!!! You have been productive! 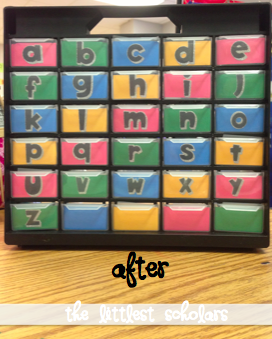 Your alphabet organizer looks great!! I really need to make one of these for my room. Your projects look great! Enjoy our spring break! I found your blog at TBTS. I really like your headband holder. Why hasn't anyone thought of that earlier? genius! Your letter organizer turned out great too! Thanks for sharing!